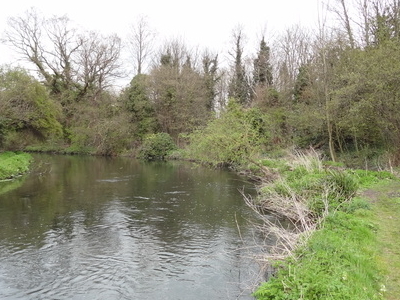 Bennett's Hole is a 1.2 hectare Local Nature Reserve in Mitcham in the London Borough of Merton. It is owned by Merton Council and managed by the council and London Wildlife Trust. It is a narrow strip along the east bank of the River Wandle. The reserve has areas of woodland, marsh, scrub and an open ditch. Trees include crack willow and oak, and there is also a variety of tall herbs. There is access from Willow Lane. Here's the our members favorite photos of "Nature Reserves in London". Upload your photo of Bennett's Hole!